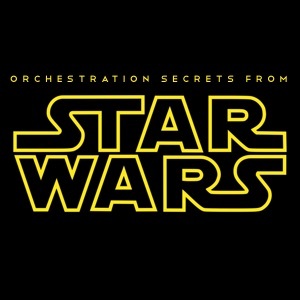 In my work with the Academy of Scoring Arts, I’ve been leading lots of orchestration discussions on both film music scores and on classical music works, and as a professional exercise, one day I decided to sit down and sequence the first two pages of the Star Wars Suite by John Williams. What this means is: I loaded up my orchestral template, and literally played in every single note in the score, so I could see how it was put together. The video below is a narrated version of the exercise, which takes just under an hour. I strongly encourage composers of all stripes and fans of film music to take the time to watch it to see the puzzle come together one note and one instrument at a time. There are a lot of orchestration techniques used in the piece that are revealed as you hear them in an isolated context. For the technically inclined, I am using MOTU’s Digital Performer 9 in this video along with Native Instruments Kontakt as my sampler, and a whole host of orchestral sample libraries including offerings from EastWest, 8Dio, CineSamples, and ProjectSAM.